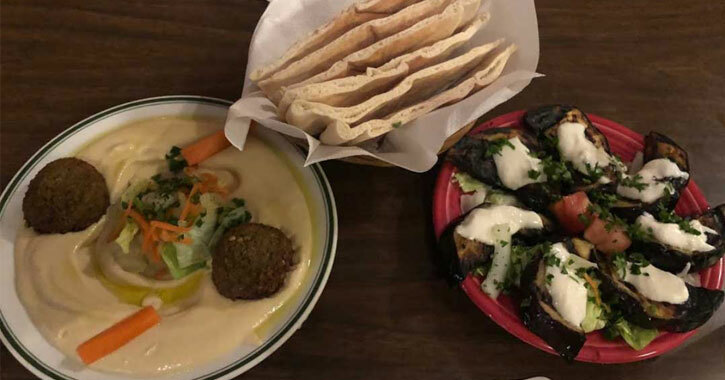 Tucked away in a cozy building on Washington Avenue in Albany is a haven for those who love exceptional and healthy Mediterranean and Middle Eastern cuisine. Mamoun's Restaurant has been operating in this location since the mid-1980s, drawing hungry patrons from all over the Capital Region and beyond. We recently sat down with owner Sayah Chater to talk about the unique offerings of his restaurant and the advantages of a Mediterranean diet. Sayah Chater's father opened Mamoun's Restaurant in 1986, and Chater took over the establishment in 1998. No stranger to restaurant work, Chater had worked for his uncle's restaurant of the same name in Manhattan starting at the age of 14. This is what Mamoun's brings to the table: a solid work ethic backed by over 20 years of restaurant experience, fresh ingredients prepared from scratch, and healthy Mediterranean meals. You can expect simple, fresh, delicious food, expertly prepared using tried-and-true recipes. "For example, the grilled eggplant or zucchini are seasoned with just olive oil, salt and pepper, and then the homemade garlic yoghurt sauce, the recipe for which came over with my mother from Syria," Chater said. What is a Mediterranean Diet & What are the Health Benefits? The advantages of adopting a Mediterranean diet include reducing the risk of stroke, heart disease, obesity, diabetes, depression, and possibly some cancers. Chater explained that Mediterranean fare is primarily plant-based, utilizing olive oil, salads, and lean, grilled meats; it also does not incorporate a lot of dairy. "Hummus is made from ground chickpeas, tahini (sesame seeds), lemon juice, garlic, and salt. A little olive oil can be drizzled on top if you want. What could be healthier? Baba ganoush is similar, only using smoked eggplant instead of chickpeas," Chater says, and this is just a small sample of the healthy foods offered at the restaurant. The menu includes several vegetarian dishes, pita sandwiches that include eggplant or zucchini, salads, entrees offering variations of lean chicken or lamb, and more. The Mediterranean and Middle Eastern regions overlap, as do their cuisines. 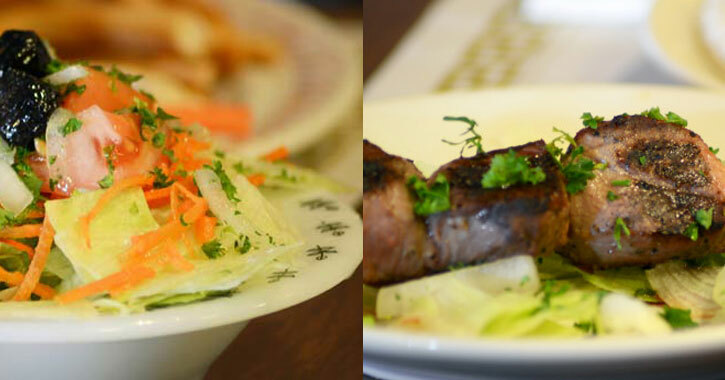 As Mamoun's serves both, we asked Chater to clarify the difference between the two. "I think Mediterranean can refer to any of the different cuisines that have evolved around the Mediterranean Sea, including Italian, Greek, Turkish, Syrian, Lebanese, and North African," he said. "Food like hummus, baklava, and honey cake are common in the eastern region of the Mediterranean. As you progress more towards the eastern region of the Mediterranean the commonality becomes less and less. When you get to the Middle East, some of the commonality stops. Falafel, for instance, is not a staple in Greece or Turkey." Clearly, we can expect a wide range of nutritious options at Mamoun's that derive from different cultures. Falafel is one of the food items customers rave about the most. Chickpeas soak overnight and are then ground up with vegetables, seasoned with Mamoun’s special falafel seasoning, and scooped into balls to be cooked. 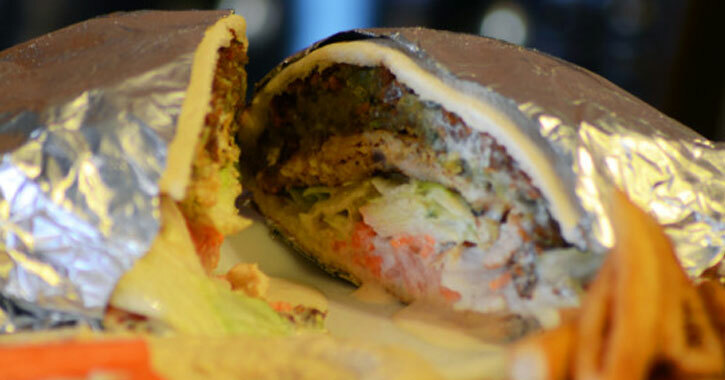 Falafel is typically eaten inside a pita pocket with vegetables and topped with tahini sauce, the recipe for which comes from Chater’s grandparents. The lamb dishes are perhaps almost as popular as the falafel. Customers typically find the lamb to be unlike any other lamb they've had elsewhere, and Chater attributes this to the first-grade, high-quality meat they use; they also make sure the lamb is clear of any fat or collagens, which is yet another reason you can expect a healthy dining experience at Mamoun's. "Many people have a negative association with lamb, because when they've had it in the past it was very tough, or very gamey, or pungent in flavor," Chater explained. "But then when they try the lamb here, they're often surprised that the flavor is so delicate and the meat is tender." Chater went on to say that most of the lamb in this country is imported from Australia or New Zealand and then frozen. Mamoun's, however, uses only fresh, domestic lamb of the highest grade and it's never frozen. Don't think you must opt for the falafel or lamb, though - Mamoun's menu offers a wide range of choices, and they can accommodate those on a gluten free diet, and vegetarians and vegans as well. Who knew eating healthy could be so delicious? Because Mamoun's is a family restaurant, they don't typically hire outside employees, and that helps them maintain consistency with their recipes and preparation. Part of the reason why patrons return to the restaurant again and again is because they can count on that flavorful food tasting just as exquisite as it did the first time around. "We have a very loyal following among customers from all over, including the Catskills, Vermont, and the Berkshires," Chater told us. "Or, people who visit Albany from time to time and make a point of coming here to eat." Have We Tempted You Yet? Try Mamoun's Restaurant Today! If you're ready for healthy Mediterranean dining in Albany, NY stop by Mamoun's on Washington Avenue. On the go? They also offer take out. See for yourself why Albany residents and visitors alike flock to this reputable restaurant.